Many workers anticipate that a return to school for a postgraduate degree (masters or doctorate) will either give them an edge for promotion or broaden their career options. While there are benefits from the acquisition of new knowledge and skills, additional education does not automatically translate into better outcomes in the job market. For those who work in the public sector, this is especially true in an era of fiscal austerity, political demands to shrink government and the ongoing assault on legal job protections for public workers. The reality of so-called “overeducation” or the diminishing return of additional education in the job market has been documented by labor market researchers, although it has received scant attention in the popular media. An additional problem noted by economists is a U-shaped curve of career satisfaction, which has been found to occur across all socio-economic levels and cultures. Young people begin careers with a high degree of optimism, believing that they will somehow beat the odds, rise to the top and achieve career and financial success. When these overly optimistic expectations do not materialize, this results in disappointment and disillusion in midlife. Around their middle 50s, when workers bottom out on the life and career satisfaction curve, they begin to re-evaluate their expectations, coming to terms with reality and formulating strategies for the remainder of their careers and their lives. In addition to this very real psycho-social “midlife crisis,” midlife career changers face equally real structural challenges in the job market. One structural factor is that many jobs are designed to be dead-end. The jobholder is selected to fill a particular skill set in the organizational hierarchy and most jobs are not designed with upward mobility in mind. Some fortunate employees work in so-called “learning organizations,” places where employee learning and growth is built into the organizational structure and the employer may even help pay for continued schooling and advanced degrees outside of the workplace. However, for most workers, upward mobility is a self-improvement project and often involves a complex strategy of job-hopping and continuous networking. So, as a mid-career worker with a new postgraduate degree, what kind of future can you reasonably expect? 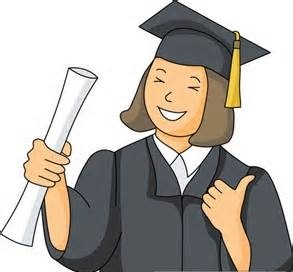 You now have the benefit of a recent degree (evidence that your training and skills are not obsolete), along with some record of experience (which your younger classmates may not be able to claim). Even with the unfortunate reality of age discrimination, in the ever-escalating arms race in the competition for jobs, you have some advantages. In summary, a successful career transition will require older career-changers to find ways to reframe their skills and experience, deal with age discrimination and possibly even manage their own anxieties. There is also the reality of job market deficiencies as well as the use of over-exclusive skills criteria and job-matching algorithms by employers. For many of us, it will require time and effort to find (or create) the ideal career match. However, we can take comfort that our new degrees provide evidence that we have the tenacity and persistence to set goals and achieve our objectives. Author: Brynne VanHettinga obtained a J.D. from Santa Clara University School of Law in 1992, followed by a varied career representing middle and working class employees and families (Arizona and North Carolina), regulating/prosecuting financial entities (Florida), and legislative analysis and lobbying (Texas). In February 2015, Brynne was awarded a Ph.D. in public policy and administration from Walden University. Brynne’s email is[email protected]. I entered a military service academy in 1975 (post-Vietnam) and graduated in 1979 with a BS in Engineering and separated from Federal service at the end of my initial 6 year commitment. This precluded me from earning an advance degree paid for by the military. Fortunately, my skill set at the time meshed well with employment as a government contractor (aka beltway bandit) in the periphery of Washington, DC during the Reagan administration. Preparation for transition to a private business career included registration as a professional engineer (civil) first in Virginia and subsequently (through reciprocity) in North Carolina….and for good measure, earned a real estate broker license through a community college course. For a brief period I worked in the private sector as an engineer. As it happened, I eventually ended up employed as a Local Government planning and inspections department head that included the following duties: Building code, zoning ordinance and floodplain enforcement; staff to Town Administrator/Manager, Town Council, Planning Board and Board of Adjustment. What a lesson in small town politics! After 20 years of living on the coast far from a university, and approaching “mid-life,” I enrolled in an online MPA program. 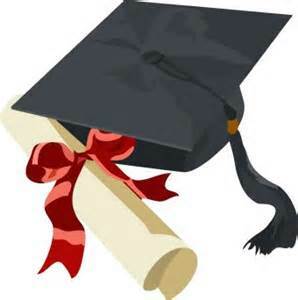 However, my eligibility for veterans educational benefits had long-expired so I availed myself of student loans. When an opportunity arose to transition to employment in State government, I moved to Raleigh and also began attending classes part-time at NCSU in 2009. I was the oldest in my classes at 52, and graduated in the 2013. I believe the advanced degree has helped me retain some measure of “marketability.” The knowledge gained has certainly been applicable to recent assignments in various “Director” administrative positions. Unfortunately, it is a gamble at the moment as to whether any future earnings increases will be significant enough to justify/offset the borrowing cost of student loans. Due to my interruptions in service in Federal, State and Local Government, I will likely be working until age 70. I don’t think I been the victim of age discrimination yet, but then again people are still telling me I don’t look my age. Nice start on a very complicated problem. As a retired Federal executive and an instructor in finance, I have observed a lot of mid-career people in the ubiquitous 300 series who are in support organizations which would clearly benefit from multi-skilled people: those who know both budget and procurement; those who know personnel and budget; those who know personnel and data analysis; those who know accounting and IT, etc. This is particularly true in downsizing organizations, where specialists leave but vacancies cannot be backfilled. Most PD’s and grade-level criteria do not credit individuals for such multi-skilled backgrounds; people have to leave their “job” in order to advance. I am not talking here about people trained as naturalists and astronauts, but rather people who can staff a support organization going from 15 down to 8. We need to find creative ways of rewarding such people and encouraging them to broaden their credentials and experiences. This article is full of great, relevant advise for everyone not just older works. One structural factor is that many jobs are designed to be dead-end. The jobholder is selected to fill a particular skill set in the organizational hierarchy and most jobs are not designed with upward mobility in mind… most workers, upward mobility is a self-improvement project and often involves a complex strategy of job-hopping and continuous networking. Personally, I think we need more people pursuing advanced public administration degrees. In my experience as a public administrator, there are good ones and bad ones like any profession, but the latter is overrepresented in the public sector because of the extreme levels of coercion built into the system. In my opinion, we need nonpartisan public administrators and changes to various laws to ensure public administrators are beholden to the people and not political parties. I find it hard to relate to this article. I’m a mid 30’s public sector employee who got hit hard with this last recession (2008). 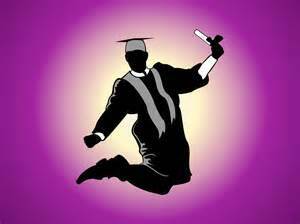 I finished with a Master’s degree in 2010 and am going back to school for a 2nd Master’s. Yet, I have been overlooked when it comes to promotions/job opportunities because there are newer graduates (younger blood). I don’t find myself in the 50’s age bracket to claim discrimination but am still competing with new graduates who lack professional experience but are sought out for promotions/job opportunities. I wish the article hit upon my age bracket, the mid-30’s, where we’re not old-enough to be the old-dawgs while at the same time we’ve passed our youth-minded optimism (been there done that). I hope I’m not sounding too pessimistic or tunnel-visioned, but I was hoping for some answers in this article that just weren’t there.